Matthew's work would pass for a PhD in any decade. 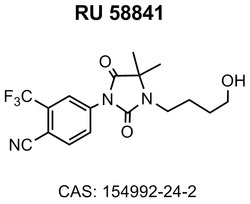 It is concerned with the novel preparation of a hydantoin compound known as RU58841, which is active against baldness. Exploration of reaction mechanisms, nucleophilic substitution and novel leaving groups are of particular interest. Achievement of target compounds is a continual focus for Matthew. He also enjoys projects that determine the optimum conditions to extract a compound. Other pursuits include fragrance chemistry, development of advanced separation methods for large scale purifications and outreach programs for chemistry education. Matthew has prepared a power point presentation to show educated non-chemists what synthetic organic chemistry is. He can present an extended version to live audiences as a 20 min presentation. View the short version below.